Danny has been obsessed with everything about website marketing, SEO and social media since the early 2000’s. With over 15 years experience in Internet marketing, Margagliano can come up with a plan to help nearly any business. 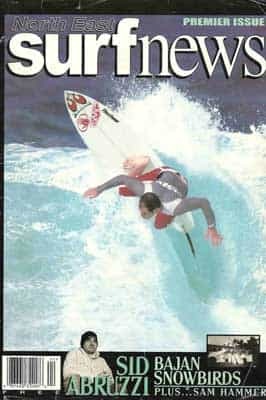 Danny Margagliano professional surfer on the cover of Northeast Surf News. Photo taken at “soup bowls” in Barbados. In 1993 Danny pursued his dreams of becoming a professional surfer. His surfing took him up and down the East and West Coast of the United States, Mexico, Hawaii, the Caribbean, Central America and South America. When he wasn’t competing in competitions he was often traveling in remote areas with photographers shooting photos for editorial articles for various surf magazines. In 1999 Margagliano began his interest in Internet marketing, Internet business, and graphic design. He polished his skills at New Horizons Computer Training in Tampa Florida. In 2000 it was off to his first experience working with the nations leading medical and dental Internet marketing company, Einstein Industries. 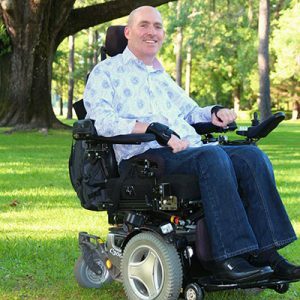 He spent a few years working and learning hands-on in this La Jolla California-based company before returning to Florida to change careers. Next, Danny went to school at Central Florida Community College for EMT and paramedic studies. At the same time, he was in the firefighter Academy in Citrus County Florida. Danny became a firefighter paramedic and worked for seven years until a diving accident off a boat into shallow water broke his neck from C4 through C6. Luckily, he was also working as a real estate agent during this time at the fire department. This gave him a career to fall back on after recovering from the hospital. Margagliano had also been highly involved in his personal and co-workers real estate websites starting in 2009. This experience is what led him ultimately to Web Tech SEO. Margagliano now offers his services to real estate agents and brokers and other businesses and industries looking to improve their Internet marketing and social media. Danny Margagliano is a blessed father of one daughter named Summer and is an active member of Christ the King Episcopal Church in Santa Rosa Beach. Some of our favorite things to do are skateboarding, swimming and going to play video games at Dave and Busters.